The release of Grand Theft Auto V has had us wondering one thing: what kind of music will soundtrack Rockstar's latest romp through San Andreas? In their most expansive game yet, Rockstar has taken the "sandbox" style of play to the limit (and past), and alreayd has been getting rave reviews. While word of Flying Lotus contributing a radio station to Grand Theft Auto V is as amazing as Hudson Mohawke's news of not being able to contribute was saddening, DAD got a bit nostalgic. We decided to run through the music from the Grand Theft Auto series and show you how the selection of electronic music has grown from the first game through The Ballad of Gay Tony. Take this trek through us, and admire everything, from Moving Shadow giving you the best drum & bass and jungle in the land to the dedications to the mighty Giorgio Moroder to Crookers throwing down, among many other artists, labels, and DJs getting involved. 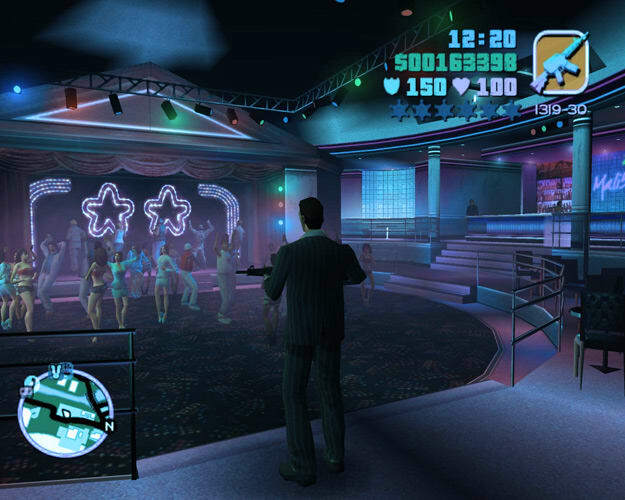 Here is the (dance) music from Grand Theft Auto.